In an age of doctored photos and videos, it’s a wonder we trust any visual image. Yet, we continue to place great trust in photos as representations of reality. Like eyewitness accounts, videos and photos seem to claim a direct connection to events that happened in real life. We often don’t question the purposes or contexts of photos, such as whether images have been taken out of context and rearranged to produce a different version of reality. 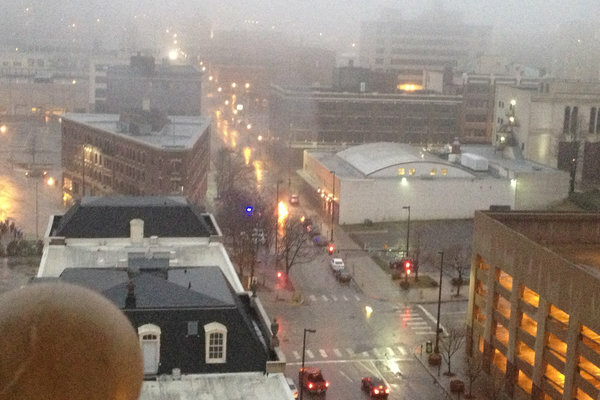 A recent photo of supposed flames coming out of manhole covers on an Omaha, Nebraska street taken after an underground fire cut power in part of the city raised a stir about the photo’s authenticity. David Carr, in the New York Times (The Media Equation, “Logging off to trace a web photo to its source”) profiled how this photo flooded the web as it was tweeted and re-tweeted, forwarded via email, posted on Facebook and Reddit, blogged, and debated online. As Carr noted there was no name on the image or any text that indicated its origin. He highlights the great lengths that were taken by an Omaha journalist to investigate the photo and uncover that the photo was real but had been taken out of context. The supposed flames in the photo were actually reflections of the street’s lights. This lack of attribution, the potential to doctor any photo, and the difficulty of tracing the contexts of any particular photo seems to be especially problematic in the digital age. However, as Errol Morris reminds us, “The alteration of photos for propaganda purposes has been with us as long as photography itself; it is not an invention of the digital age.” An excellent collection of photo tampering throughout history can be found at http://www.fourandsix.com/photo-tampering-history/ and TIME’s “Top 10 doctored photos” highlight how photographers have been manipulating images since photography was invented. In Morris’ book, Believing is Seeing, he calls for thinking about whether subjects are posing, to question the intentions of the photographer, and to reconsider the nature of photographic evidence and its relationship to reality. This work seems even more necessary in the digital age as the ability to doctor or tamper with photos has been “democratized” with easy access to media tools. The digital age also makes it much easier to disseminate doctored images as they can quickly go viral online. This seems to require much more vigilance on the part of viewers. It calls for us to be much more careful and critical consumers of images no matter where they might be found. It requires that we source the photo to find out when, where, by whom, and for what purposes it was taken, read within the photo’s frame to fully analyze the contents of the photo, while also reading outside the frame to fully consider the contexts of its production, dissemination, and reception. The issues related to discerning whether photos are authentic and understanding the range of contexts necessary to fully understand a particular photo requires an understanding of the codes and conventions of visual images. Perhaps, instead, we should judge a news photograph as a collection of purported facts about the world that is accurate if its claims are true and inaccurate if they’re not. But photographers make editorial decisions all the time: where to point the camera, of course, but also how to frame the shot, whether to crop and if so what, how long a shutter speed to use; and all of these can affect the facts a picture presents, without falsifying the image. When, where, and why was the photo created? What is the photo purporting to depict? What did the photographer want viewers to understand, believe, or value through this depiction? What contexts may have shaped the taking of this photo? Would there be any particular reason for taking this photo or doctoring it in some way? What gaze or perspective is implied in this text (e.g., ethnocentric; patriarchal; stereotypical; paternalistic; dismissive; romanticized; nationalistic, etc.)? Would those represented in this photo embrace this representation? What is (or whose perspectives are) missing? What may account for these omissions and whose interests may be served by these omissions? What photographic techniques (framing, angles, perspective, location of subjects, etc.) are used to persuade the viewer to accept a particular representation? In what ways is one’s reading of the photo influenced by its particular intertextuality (it’s relationship to other texts)?